New Delhi, January 30: “Smart-banking is something that India is leading the World in, which will help us in achieving customer literacy regarding the financial & banking world. 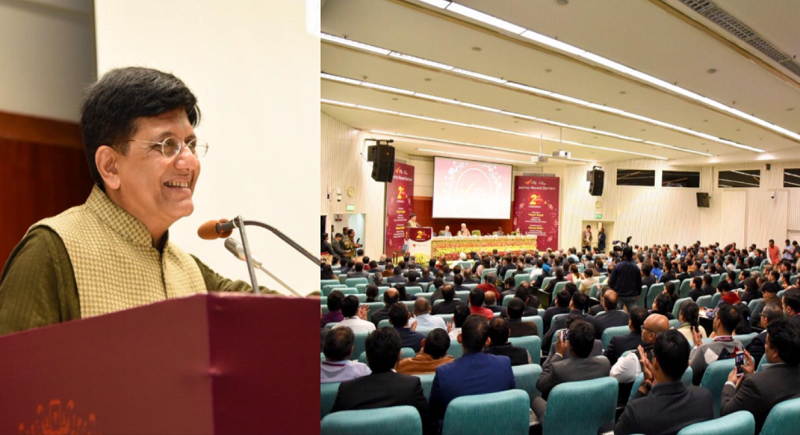 Every citizen in the country, particularly those in rural areas, will have the opportunity to truly be a part of India's success story”, said FM Piyush Goyal at while addressing at the 2nd Anniversary of Launch of India Post Payments Bank in the national capital on Wednesday. “I am yet to see a comparable occasion, where a new bank has had such a vast impact in such a short period of time, reaching the nook and corner of the country. This is a scale-up that has rarely been seen anywhere in the world. 1,26,000 access points have been established with more to be added in the next two weeks, reflecting PM Narendra Modi’s vision of a financially inclusive India”, he added in the presence of Manoj Sinha. "This rapid roll out will make banking transactions for the poor in rural India simpler, more affordable, real-time and simultaneously provide a huge benefit wherein they can enjoy the fruits of development directly. This was Gandhiji’s motto to connect each and every poor to the banking sector. Even Deendayal Upadhayay, had said that the real improvement of the country lies at reaching to the bottom point of pyramid. Merrily the entire post team is working for these expectations", he added further. We have moved from mere slogans to actual grounds. This kind of massive work could not have been achieved without the active engagement of senior officials of various departments, and certainly, would have been impossible without the passion and dedication of our Postmen on the ground. The Postman and the Railway Station continue being the lifeline of the country, and are two symbols that every citizen can relate with, he confirmed.